Flotation Therapy is a simple, yet insanely effective way to boost your overall health and wellness. It’s a type of “sensory deprivation” treatment that’s achieved by floating in an enclosed, isolated tank that cuts off all sensory experiences: like sight, smell, and sound. Sounds a little extreme doesn’t it? Floating in a tank without being able to see anything, smell anything, or hear anything….it sounds absurd at first, but it actually has a ton of therapeutic benefits. In a broad sense of things, our bodies are essentially giant sense organs. In today’s world, we’re bombarded with millions of pieces of information every second, and although our conscious brains pays attention to only a few pieces of info at a time, that doesn’t mean that the rest of the information whizzing around doesn’t have some affect on us….because it does. Our nervous systems are constantly being stimulated, constantly being tossed new information to process, validate, or recognize. How can we give our nervous systems a break? By taking advantage of flotation therapy. 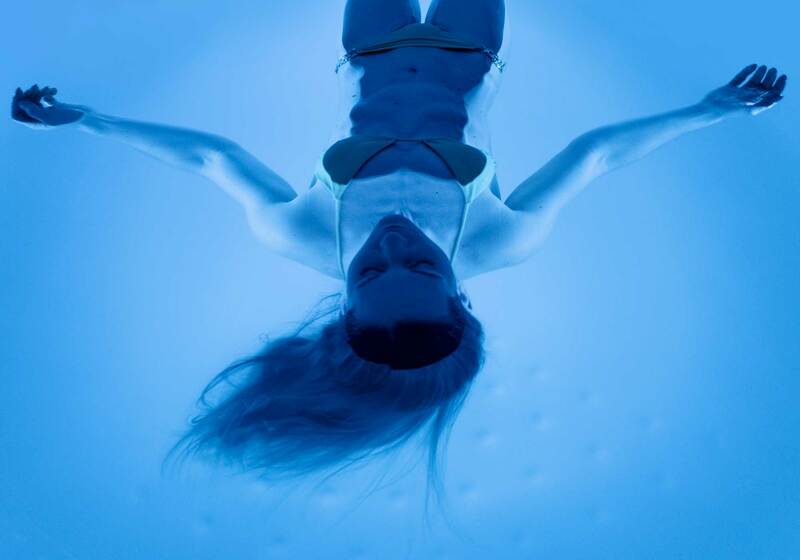 Float Tanks reduce the amount of sensory input being detected by our nervous systems. By stripping away sight, sounds, smells, and gravity, flotation therapy gives our bodies a much-needed break from that constant, never-ending, stimulation we experience on a daily basis. What are 5 Benefits of Floatation Therapy? Stress is bad for your health, we’ve all heard that one before and to top it off, more and more research is coming out that constantly points out the importance of stress management. If you’re looking to decrease the levels of stress in your life and find an effecive way to become more relaxed, look no further, Flotation Therapy is here to save the day. Thanks to the zero-stimulus environment of Float Tank, floating provides a deep sense of relaxation and inner peace. In fact, a Swedish study published in the Journal of Complimentary & Behavioral Medicine in 2014, suggested that it may work by reducing the body’s stress response, which induces deep relaxation. Stress makes life harder; luckily, floating is an easy solution. Whether you suffer from insomnia, other sleep issues, or are just looking to improve the quality of your sleep, flotation therapy could be the answer. Research has found that floating just 2 hours a week for 2 weeks may improve insomnia symptoms. (That’s less than 2% of your time, and the results could help you sleep better at night.) Even if you don’t usually have problems sleeping, after just one flotation therapy session you’re likely to fall into a deeper sleep than normal after your session, and feel much more rejuvenated and restored the next day. This is because floating restores and refreshes your senses, leaving you more rested and relaxed than normal. Because flotation therapy uses high amounts of supersaturated Epsom Salt, the effects of gravity are minimized and your body is able to float in the tank effortlessly. And since your body is literally suspended, it’s free of any pressure points, which allows every muscle to completely relax. When your muscles completely relax, it allows your joints to decompress, which helps release pressure and reduces pain and muscle tension. Even if you typically don’t suffer from pain you may find that it relieves pain you didn’t even realize you had….I call that a win, win. Taking an Epsom salt bath has been used therapeutically for hundreds of years because of it’s healing properties. One of the main reasons it’s considered so healing is because it naturally increases magnesium levels. Magnesium helps many processes in the body, including regulating muscle and nerve function, blood sugar levels, and blood pressure and making protein, bone, and DNA. Unfortunately, according to the World Health Organization, about three-quarters of adults don’t get enough magnesium in their diets. When you float, magnesium can be absorbed through the skin due to natural molecular diffusion which typically helps to improve magnesium deficiency. Meditation is good for the mind, body, and the soul. It helps the brain calm down, reduce stress-levels, and stay in the moment. But, meditation takes practice, especially when you’re used to your brain moving a mile a minute. Flotation Therapy allows you to reap the same benefits as you would from meditating, without the effort. No more frustration because you can’t focus, and no more uncomfortable poses, or finding the right mantra. All you have to do is lay in the float tank, breathe, and float. It’s really that simple. 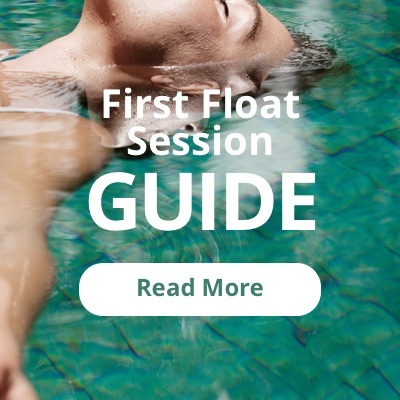 Floating offers something for everyone, whether you’re suffering from sleeping problems, pain issues, or just need an excuse to get away from the hustle and bustle of everyday life. Take an hour out of your week to come down to The Flo on Allen Street and let us show you the benefits floatation therapy can have on you today! I’ve recently been running around a lot, and I could really use a break from everything, but relaxing just isn’t working for me right now. So I like how you say that flotation therapy puts you in the mind to just float and breathe, thereby meditating. I should find somewhere near me that offers flotation therapy and try it out to de-stress.